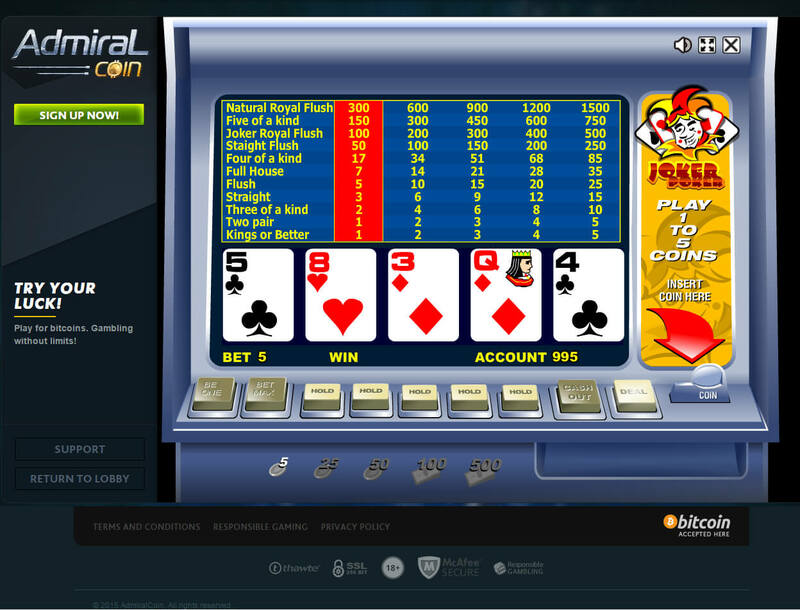 AdmiralCoin joined the Bitcoin casino market in 2014. Packed with the essential features and services necessary on an online gambling site, this platform can easily become one of the go-to casinos for betting enthusiasts from across the globe, even the US players. This website features an easy-to-use and visually pleasing casino interface that supports both English and Russian languages. Hosted in this casino are the different games of slots, roulette, and video poker. Players can choose from a wide range of Bitcoin slots that are supplied by various online casino game providers, namely Igrosoft, NetEnt, and Novomatic. Slots make up the majority of the game library here, which is not surprising since numerous bettors prefer to wager bitcoins to spin the reels and experience a different kind of fun and winnings. Bettors can also try their luck in the two Bitcoin roulette games, but if betting on poker is preferred, some players may have to make do with the video poker games present on this platform. Unfortunately, this casino does not feature a Bitcoin poker room that allows real bettors to join tournaments and play poker against each other. It also lacks computer-generated poker games other casinos have. Nonetheless, there are video poker titles here, which can offer a different kind of thrill but almost similar odds of winning. After all, video poker still banks on skills rather than pure luck. 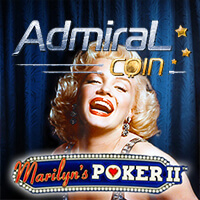 While it may lack a few more games to compete with the more established casinos, AdmiralCoin provides player-friendly methods to deposit and withdraw bitcoins. Every registered bettor has his own personal Bitcoin wallet address that comes with a QR code. There are no minimum and maximum amounts for deposits, so players have the complete freedom to transfer any amount to their account. Keep in mind, though, that the minimum bet in games is usually 0.1 mBTC. When cashing out, on the other hand, there is no need to wait for a long time since withdrawals are processed as quickly as possible, except for some occasions when the amount to be cashed out is large. 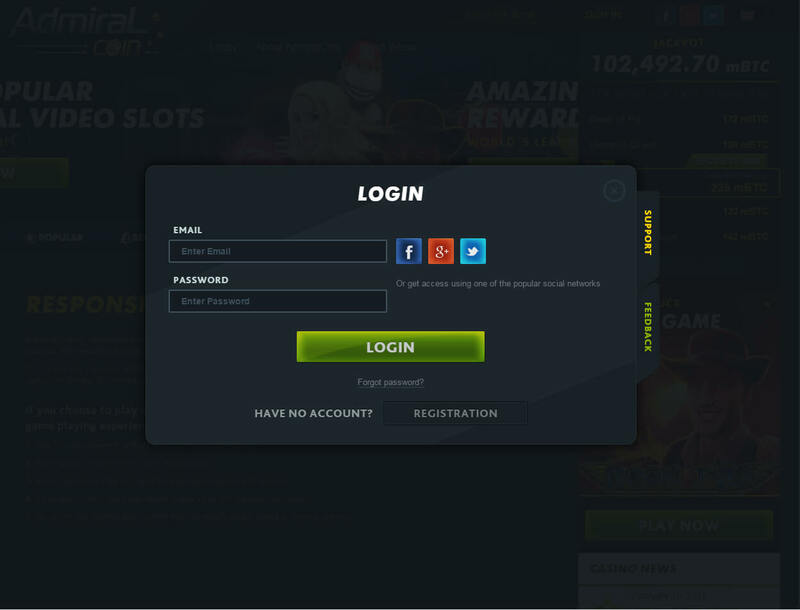 Players can join the casino in two ways: one is by registering a valid email address; the other is by using an existing Facebook, Twitter, or Google Plus account. Either method is convenient, but players will enjoy anonymity by opting for the former. When it comes to customer support, AdmiralCoin is doing a great job. It caters to player concerns all day and all week long. However, it only uses a message system. It would be better if a live chat feature will be integrated for prompt responses. 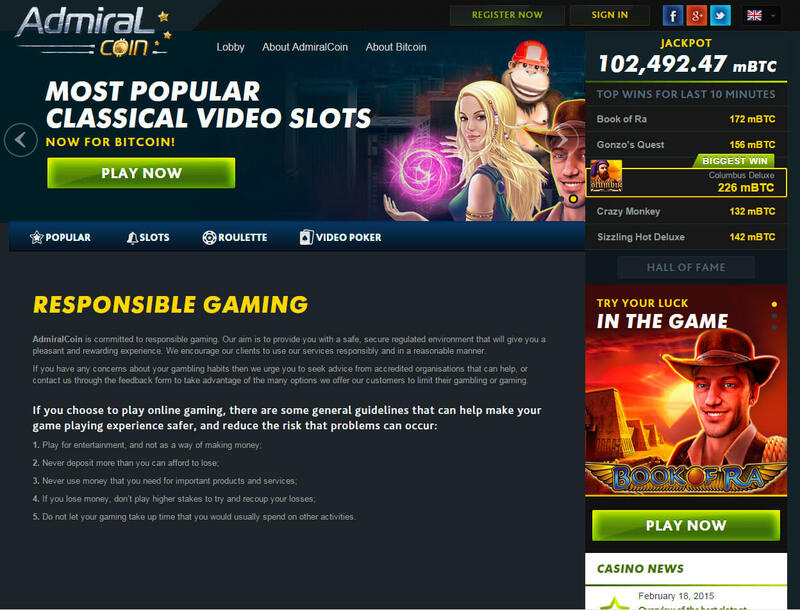 AdmiralCoin is not as comprehensive as the other casinos online nor is it a Bitcoin poker site that offers tournaments or computer-generated poker games. 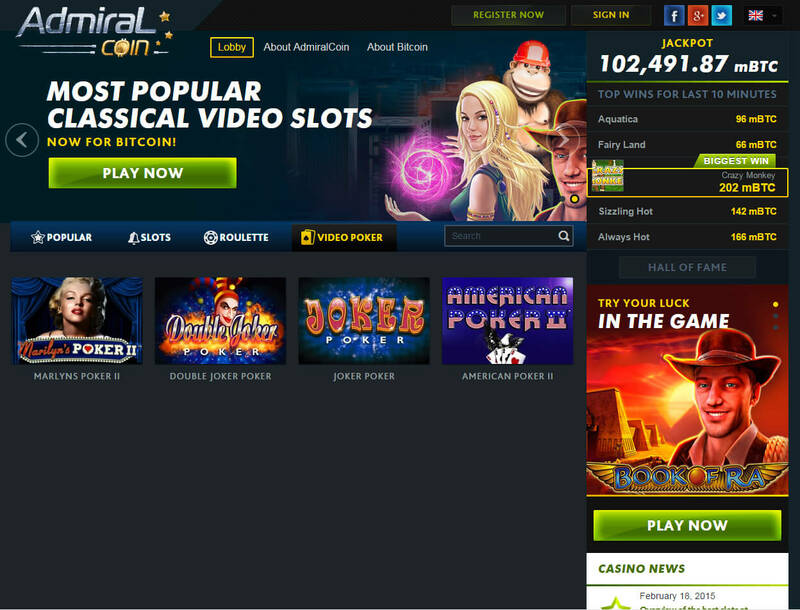 Despite all these, this Bitcoin gambling site is still capable of providing a vibrant gambling experience that attracts different types of bettors. Nevertheless, it would still be a brilliant idea to add more games and fill the platform with more Bitcoin casino bonus deals.